What comes to mind when you hear Miami? You are probably thinking of sun and beaches. Well, you are right, the weather in Miami is usually sunny and the city offers a variety of fantastic beaches. Miami is Florida’s largest city and a popular winter getaway due to its balmy subtropical climate. You do have to be careful with Miami weather, though, as the months of June to November are officially part of hurricane season. Peak season for hurricanes is actually late August to end of September, so try to plan your trip outside of these times. Here is a map of Miami that will help you with your travel plans. Hurricanes apart, Miami is a vibrant, diverse destination, so let’s explore the numerous things to do in Miami! South Beach (nicknamed SoBe) is probably Miami’s most well-known tourist draw. With its fashionable nightclubs, bars, restaurants, upscale hotels and designer boutiques this is area attracts large numbers of American and international tourists. Anyone in search of great fashion, upscale shopping and exciting nightlife will find it in South Beach. Coconut Grove is a neighborhood of Miami east of Coral Gables and offers excellent dining and shopping opportunities. One of the most popular destinations in Coconut Grove is Coco Walk, an attractive shopping center with more than 30 stories, a movie theatre and several restaurants. Little Havana is centered around Calle Ocho, the heart of the Cuban immigrant community in Miami. Many other Latin American immigrants have also settled here in the last couple of decades. Various Latin personalities including Gloria Estefan and Celia Cruz are enshrined in the Walkway of the Stars. The Calle Ocho Festival is one of the world’s largest Carnival-inspired events and attracts more than a million visitors every year. Built between 1914 and 1923, Villa Vizcaya was originally the estate of James Deering, heir to the International Harvester fortune. Today Villa Vizcaya Museum and Gardens is a national historic landmark and one of Miami’s most scenic destinations. The villa is an opulent example of the Mediterranean Revival architecture and from its waterfront terraces you can enjoy stunning views of Biscayne Bay. The Miami Seaquarium is one of the most popular places for families and children because people can observe sea animals and even swim with dolphins. The aquarium offers some programs for children to play with these adorable sea mammals and even train them for a day. It is located in Virginia Key, an island between Miami and Key Biscayne. Jungle Island offers a kind of interactive safari experience. You can see a variety of the world’s rarest animals, such as the Andean Condor, some very rare tigers and pythons. One of the most unique attractions at Jungle Island is a 900 pound “liger” – a cross between a lion and a tiger. Just outside of the city of Miami, the Florida Everglades are a giant wetland that covers a large portion of South Florida. The Everglades are home to unique species of animals such as alligators, turtles, fish and subtropical birds. Various companies offer guided tours to this protected nature area. The Spanish Monastery was originally built in the 12th century in Spain and was brought to Miami by media mogul Randolph Hearst in the 1920s. Today it provides a place not only for visitors or travelers but also for people who are planning their wedding or anniversary. You can experience a truly medieval atmosphere at the Spanish Monastery in Miami. The Venetian Pool is one of Miami’s most popular and beautiful public swimming pools, and is located in the city of Coral Gables in Miami-Dade County. Built in 1924, it features two impressive waterfalls , grottos and a huge pool that is drained and refilled with fresh water on a daily basis during spring and summer. There are lots of things to do by day and night. If you like sports you can visit Sun Life Stadium and watch the Orange bowl, an American college football bowl game, in January. The Miami Dolphins are the city’s beloved football team, Miami Heat is Miami’s professional basketball team, and the Florida Panthers are the city’s NHL hockey team. Spectator sports also include professional tennis (the Sony Ericsson Open), greyhound racing and golf. Many thousands of visitors also travel to the city every year for the many great festivals and events in Miami. To mention just a few, the Winter Music Conference is one of the largest Latin music festivals, and Winter Party is one of the biggest LGBT festivals in the world. The South Beach Wine & Food Festival is one of the largest and most well-known festivals in the Miami area. Miami is a diverse cosmopolitan metropolis and you will have a great time, whether you are there for entertainment, sports, culinary experiences, special festivals or the famous Miami nightlife. 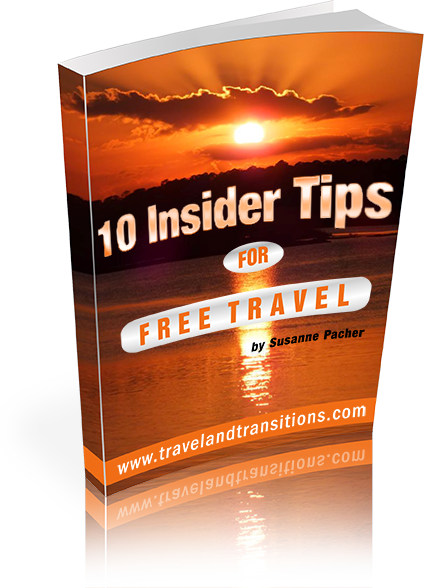 Have a peek at our website for more travel stories and travel advice. Here are our travel articles about other Florida destinations.